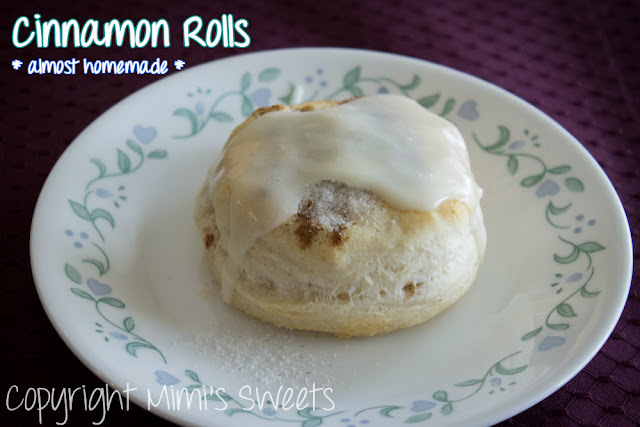 Keep reading for instructions on how to make these easy to make, *almost* homemade cinnamon rolls! These cinnamon rolls are so light and tasty, and have so much less fat and calories than regular ones! First you'll need some Pillsbury Grands! 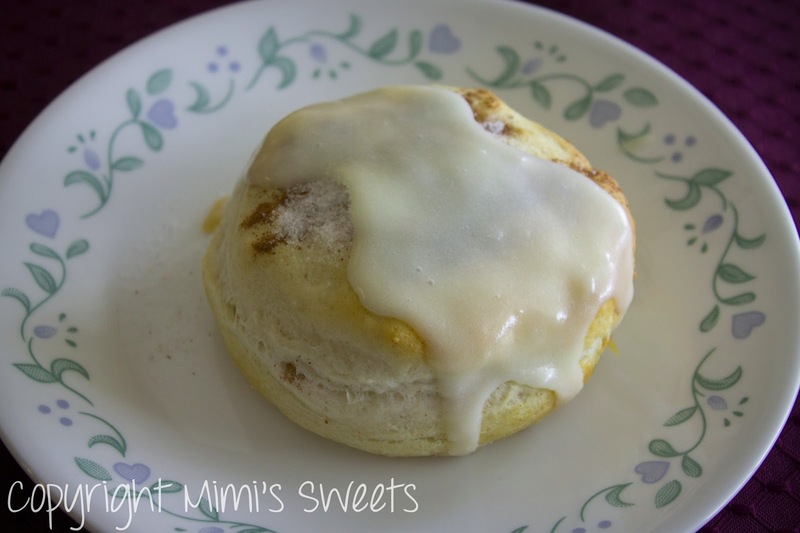 Flaky Layers Buttermilk biscuits. I know the package says to bake at 350 degrees Fahrenheit for like 10-14 minutes. I have a convection oven and bake them at 325 for 9 minutes. If I wasn't using convection, I'd bake them at 350-- still for 9 minutes, though. And I also recommend using an air bake sheet-- it'll make getting the biscuits off SO much easier! Alright, so before putting them in the oven, sprinkle some cinnamon and granulated sugar on the tops of each biscuit. While you're waiting for the oven to preheat, go ahead and start making your icing (or used canned-- whatever you'd prefer). I use a cream cheese icing instead of a butter cream icing to help keep the sweetness from being through the roof. I use my own recipe, but this one should work just fine! 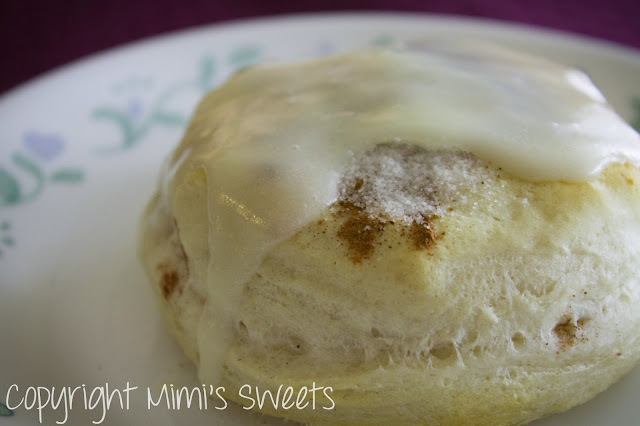 Once you've preheated the oven, go ahead and put those biscuits in! When they're done, pull them out, put them on a heat safe surface, and ice them. The heat is what makes the icing all melty and yummy, so don't worry if your icing (in the container) doesn't look like this. Let them cool for a few minutes before serving, and there you go! See? I told you it was simple! The whole thing should take you approximately 20 minutes tops!